styles of jazz, its singers belting out a rough-and-tumble urban style of blues, its piano players pounding out a style later known as "boogie-woogie." We visit the great landmarks, like the Reno Club, the "Biggest Little Club in the World," where Lester Young and Count Basie made jazz history, and Charlie Parker began his musical education in the alley out back. The lives of the great musicians who made Kansas City swing are illuminated, with colorful profiles of jazz figures such as Mary Lou Williams, Big Joe Turner, Jimmy Rushing, and Andy Kirk and his "Clouds of Joy." 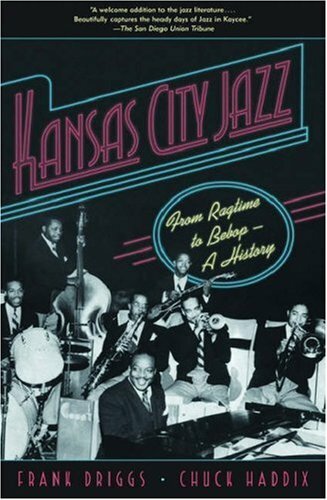 Kansas City Jazz is the definitive account of the raw, hard-driving style that put Kansas City on the musical map. It is a must read for everyone who loves jazz or American music history.